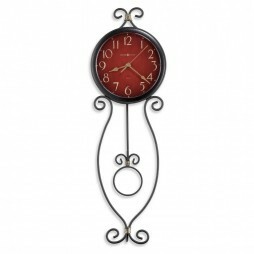 Elegant features showcase the Hartwick Wall Clock. 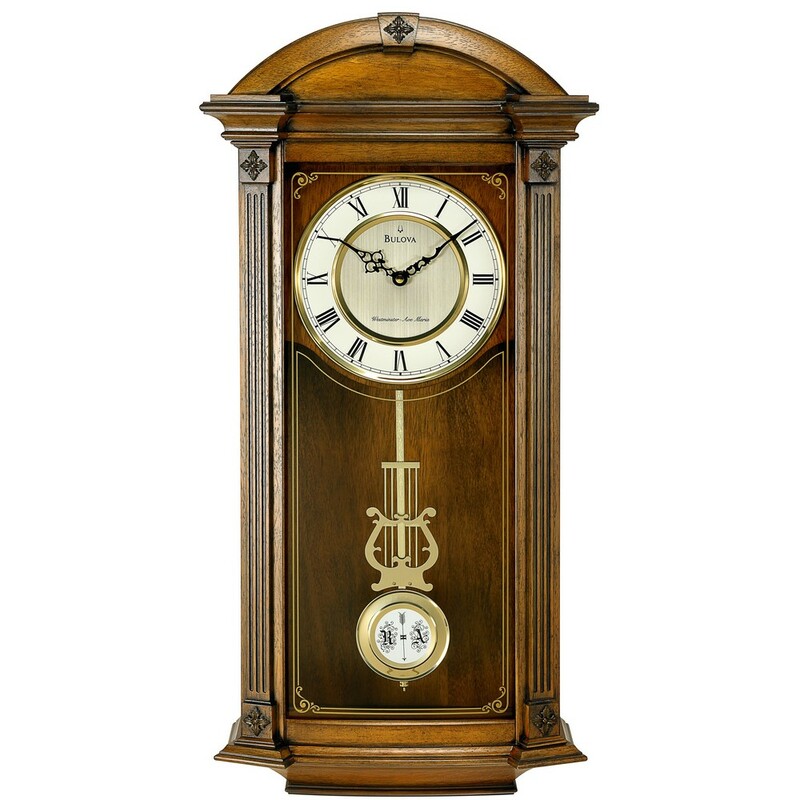 From the old world walnut finished wood case, to the angled corners, fluted pilasters and decorative carved accents, this clock will enhance any room. 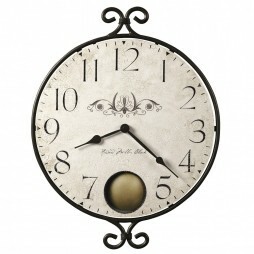 The triple-chime movement plays Westminster, Ave Maria or Bim Bam melody on the quarter hour and also counts the hour. 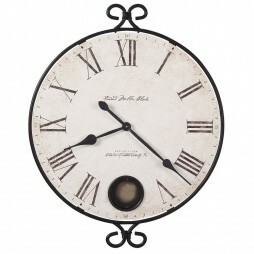 Roman numerals highlight he two-tone metal dial above the beautiful pendulum. 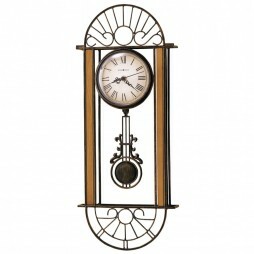 The look is completed by a decorative screened curved glass lens. Angled corners with fluted pilasters and decorative carved accents. Decorative screened curved glass lens.